Ark Residential is a local property specialist. 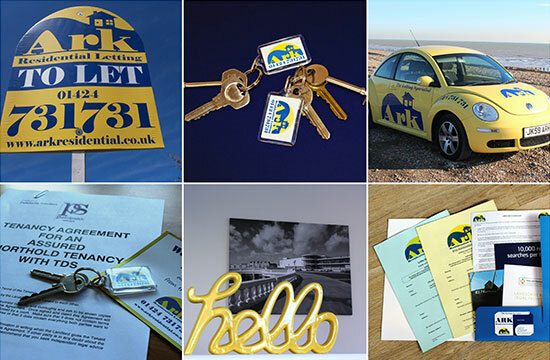 We are a dedicated rental agency who focus solely on lettings - not an estate agency with a sideline in lettings. We are an independent, ARLA registered agent which means we adhere to the highest standards in independent lettings.We cover Bexhill, Hastings, St Leonards, and the surrounding rural areas and let a wide selection of properties ranging from small flats to large detached houses. Having been established for fourteen years we take pride in the reputation we have built and the good relationships with have with our tenants and landlords. We are not just experts in letting your property but in managing that let for the duration of the tenancy be that six months or many years. Letting property can be emotive with both tenants and landlords sharing a mutual attachment to their home and investment. Good communication and the attention to detail is paramount for us to keep our clients happy and mediate the best interest for all parties. Landlords - With a combination of the right tenant, minimal voids, rent guarantees and reliable and reasonable contractors we can make your investment as profitable as is possible. Tenants – Our friendly staff can guide you through the letting process and help make your move run as smoothly as possible. Once you are in your new home our office is open six days a week so we are always on hand to deal with any property issues you may have. We believe it is the enthusiasm and dedication of our staff that make our company so successful with our two directors taking a hands on approach to ensure your needs are met.